Boardman Township throughout its first 120 years was basically a rural agricultural community. At the beginning of this century, Boardman’s population was 873 — well behind places such as Beaver, Coitsville, Springfield, Goshen and Green townships. The roads that existed in the early years were dirt and poorly maintained. The township was divided into quadrants, and a farmer in each area was responsible for maintaining the roads in his area. Significant urbanization of Boardman did not take place until after World War I. Substantial subdivisions were developed during this time period along both sides of Southern Boulevard from the Youngstown city line south to Mathews Road. These roads were maintained by the State of Ohio and Mahoning County. The 1920s marked the first period of significant growth, with the township reaching a population of 5,500 by 1930. Growth was somewhat stifled in the 1930s because of the Depression, but continued nonetheless. With the improvement of Market Street and Glenwood Avenue in the 1930s and with more frequent use of the automobile, additional subdivisions were developed. These included Forest Glen, Ridgewood Estates and The Boardman Park Allotment. The development of these neighborhoods is significant in that it marked the beginning of an era of residential desirability that Boardman Township still continues to enjoy. Road maintenance responsibility for the growing network of streets was handled by the W.P.A. (Works Progress Administration) from its beginning in 1935 to its end in 1943. At that time, road maintenance responsibility for other than State or County roads was under the direction of the Township Trustees. In 1947 the Township Trustees formed the first Road Department and named Donald B. Davis Road Superintendent. The township was certified at 66.3 miles of roadway under its authority. By 1953 the road mileage was 77.8 miles and the department maintained the roads with two dump trucks, one Road Grader, one Tar Distributor and a pickup truck. By 1972 the mileage had increased to 100.6 and Robert Fink replaced Mr. Davis as Superintendent. Under Fink’s direction the department staff and fleet of equipment grew to meet the increased demand for services. Mr. Fink resigned in 1978 and was replaced by John F. Kane. Kane resigned due to ill health in early 1980. Assistant Superintendent Gary A. Dawson was made Acting Superintendent and formally named to the position in 1981. Assistant Superintendent Lawrence R. Wilson was appointed to the position of Road Superintendent in January 2005 after the sudden illness and passing of longtime superintendent Gary Dawson. 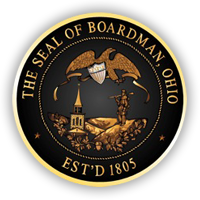 The Boardman Township Road Department is currently certified at 144.258 miles of roadway. This includes over 500 streets and 164 cul-de-sacs. A department of 21 employees maintains this network of roads with a fleet of equipment that exceeds $1.7 million in valuation. 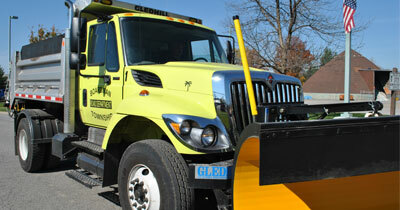 The road department is proud to provide quality road service to our community.